Include best logo designs such as a dove logo blueprint to your catalogue because it will add flavour and variety it. You should add a dove Logo design because a dove besides being a messenger, is a universal symbol for peace love and beauty. The significance of a dove is so much that there are gods depicted with this particular bird. This logo designed by Crisstiansen represents a fine-looking dove that reflects the company unique values and amazing selling point. Its classic and elegant shiny lines offer inspiration to choose the challenges and excel in goal. Dove logos are an eye catching sign and a symbol of peace these days. This black dove logo is professionally designed by Ashton with a unique combination of colors to download and get printed on an A4 size paper. This eye catching logo is designed by Ahmed Atef Elzahra with colorful graphics to get printed on the business catalogue and brochures. Easy to set on the work and services and excel in business. Twitter, a social network logo in sky blue color is designed from the three sets of representation about the network, overlapping circles and about interest and ideas that unite melodiously on the Twitter page. This logo is designed by Ibrahim as an inspiration for the company that specializes in fine paper of art. The graphics and colors used as a friendly touch and beauty to the image. This Dove Financial logo is different than the other designs as a financial hand to the company. Designed by Daniel Evans, this logo is a good sign for financial corporations to advertise with flyers and let people invest hard earned income. This Dove image designed by Notjelly projects the services and representation of the company to achieve trust. Charted in soft colors to evoke trust, get it printed in booklets or advertising boards with the message that highlights the services. This visual icon is a recognizable and custom logo in short, for the International Camping Congress held in 2014. Designed by Kleron, this logo reflects the use of rainbow colors to symbolize the diversity of the participating organizations. Use these dove logo designs in baby products or maternity care products and it will show customers that your product stands for gentleness and beauty. Download these designs for free and further edit them to suit your company’s needs. This simple yet attractive logo is a symbol of grace and liveliness. Designed with simple characters, this works well on leaflets and brochures as per the aspects of the company to get connected with the clients strongly. This attractive and well designed logo with characters under it is a good plan for companies and organization to present services. It comes with a 300 dpi resolution and easy to download on the desired pages for a professional look. This logo designed by Milou is popular for the blend of colors used in it. Beautifully marked with creativity, this logo is going to develop the business and welcome projects that wish to shine with success. Get it printed on brochures and catalogue to present achievement. This logo presenting a visual focus on birds is a perfect logo to choose as part of your business identity. Being designed with black ink on a white sheet by Bellman Glen, it is perfect to be simple in presentation about the company. 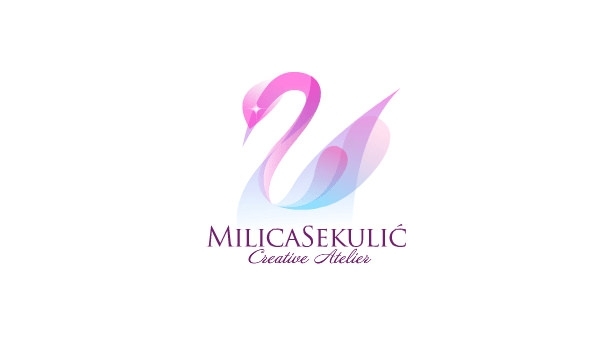 A well designed logo like Milica Sekulic are a necessary option for brand identity to create a good impact on clients. Get this logo crafted on the company booklets, products and leaflets speak about the services in simple words. As a good guide for multinational companies and business, this inspiring logo will help your company to present a professional image and compete in the competitive market with outstanding services. Download and get printed on leaflets for a successful move. Achieving a good logo with latest design is essential to create ideas. This goodness logo design is a good concept for business on health and wellness. Designed by MattAydin, this logo can be downloaded on a plain paper and print on brochures and catalogues.